As we continue our journey through the month of May and the Four C’s of Improvisation, this week, we arrive at #3: coherent. We already explored the first two (competent and convincing) and colorful will be our topic next week. Last week’s lesson from Naji Hakim – “Never play faster than you can think.” – will also be a key to being coherent. 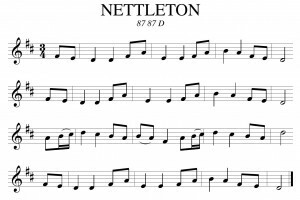 Continuing our general metaphor of music as language, style can be considered the type of language or dialect that we are using to communicate. A coherent speech will be given in the same language. Hopefully, it will be one that the listener can understand. Anyone who has ever had the privilege to attend a multicultural celebration (mass or other worship service) where languages were changed frequently will quickly recognize the difficulty in achieving a coherent celebration when certain segments of the population can not understand what is being said in one or more of the languages used. Just imagine for a moment constructing sentences where all nouns are in German, verbs are in French, adjectives are in English and adverbs are in Spanish. Even though my general comprehension is pretty good in all four of those languages, combining then together into a sentence makes an incoherent mess: Ich voudrais chocolate Eis hoy. While I recognize there are occasional words that have crossed from one language to another, even then, the pronunciation usually changes. It is far more coherent to present in one language than to mix them all together. So it is also with music. Choosing a musical style that one has mastered or playing slow enough in a style in order to master it is a key element to coherent improvisation. The order can in German words change. Even if we manage to use the same language, if there is no apparent form, we lose coherence. I remember from my study of German that you could put just about anything at the beginning of the sentence in order to choose to emphasize some particular element. Someone once pointed out to me that I would never hear a German interrupt another German speaking because until you heard the verb – which often was at the end of the phrase- you wouldn’t necessarily have any idea what the person was actually saying about all the other elements you had heard. There are simple forms and complex forms that we can use to improvise: binary, ternary, passacaglia, variations, rondo, sonata allegro, fugue, and so forth. We can also construct our form as we go through motivic development. The key here is to have a plan in mind. Sure, we may need to end the prelude or offertory quicker than expected, so our form may be subject to change along the way, but if we started with a plan and know where we are in it, then we should have a pretty good idea of how to bring the piece to a coherent close. I remember once hearing Naji Hakim improvise for an offertory where he started treating a chorale (or chant) in a specific way as an ornamented chorale. It became clear to me that if he continued this for all the phrases of the chorale, the piece would be too long, so just before the last phrase, he changed and did something different. I remember being quite shocked at the time, but in the twenty or thirty seconds that he took to wrap up the piece and include that last phrase, he managed to turn it into something completely coherent with what he had done before. I could have hardly imagined a more fitting ending to the piece. One of the simplest, yet perhaps most difficult ways to practice form is to practice repeating oneself. Play a melody or chord progression and then immediately repeat it. Increase the length or complexity of the phrase until you have difficulty. 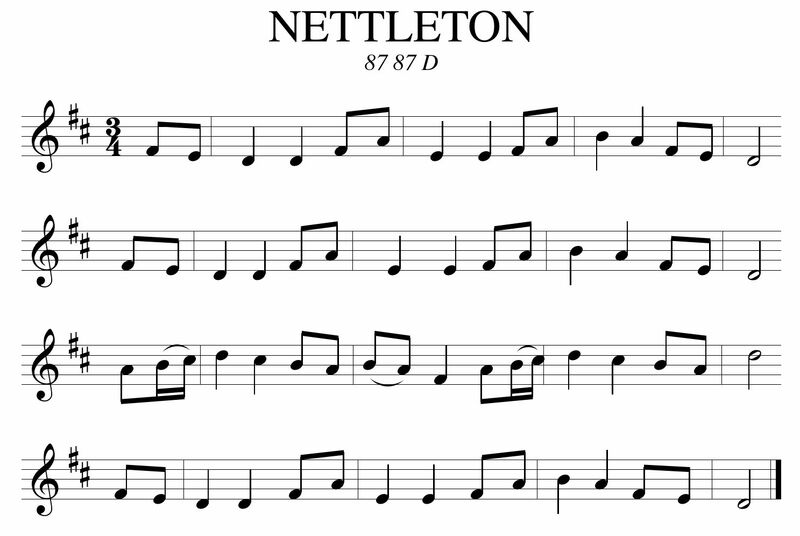 Repeat yourself, but change tonal center in the repetition (transpose the idea). If you are playing just a melody, repeat yourself with the other hand or even on the pedalboard with your feet. Repetition is the key to motivic development and a comprehensible formal plan, and these are the keys to coherence. Hopefully you found some time to practice your competency and conviction last week and didn’t get stuck in a YouTube spiral watching Derren Brown clips after my last email…. 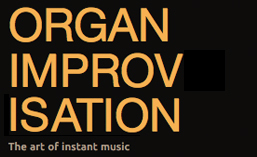 While working to add as much useful information to organimprovisation.com as possible, this week, I set up a store on Amazon.com where you can go to purchase items related to improvising at the organ. 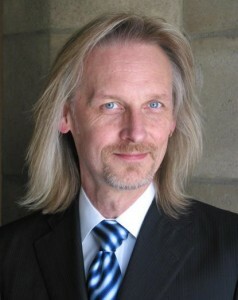 When I have access to the items, I expect to offer reviews and critiques of the items in future newsletters or posts. Perhaps because I’ve been working on my collection of improvisation materials for some time, I find the sample available at Amazon.com to be a little sparse at the moment, but then again, I think most of my materials I’ve picked up from a specialty retailer (if not from the organist on the CD directly)…. Have a look and let me know if there is anything that catches your eye that I should review promptly. I also added a list of summer courses in 2014. Please let me know of any others that you might know of. Next week, it’s on to color! May all your improvs be coherent! Posted in Lesson, Newsletter. Tagged Artwork, Aurelia, Beach Spring, coherent, form, German, Hyfrydol, Kerry Beaumont, language, Melinda Kistetenyi, Naji Hakim, Nettleton, Newsletter, Ronny Krippner, store, style.